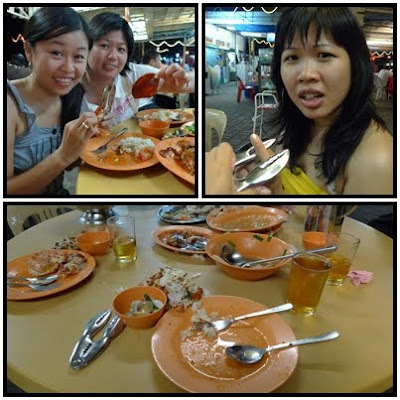 I know this is way overdue ( 6 months ago) but here are the pictures of my Langkawi trip last year with my BFF, Lynn and Christy. Fuh~~ the island of dreams. Look at the amazing view of the island. "Shy" It is my first time to Langkawi. 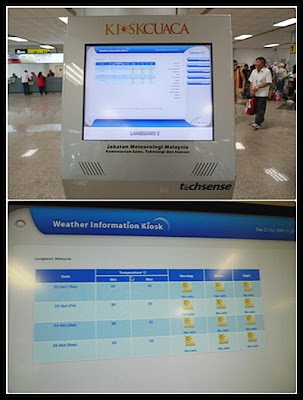 After 1 hour journey, Langkawi view from plane..
don't trust this weather information kiosk. 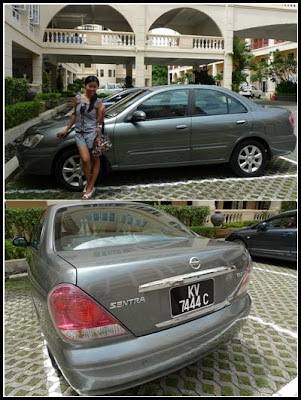 our rented car, Nissan Sentra. Again I booked the room from PYO Travel with affordable price. 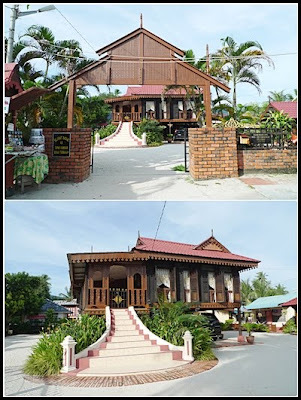 Bella Vista Hotel Langkawi just located right by the beach and facing the sea in Kuah. Falls in love with a western fairy tale concept. Just like castle in the Disneyland. 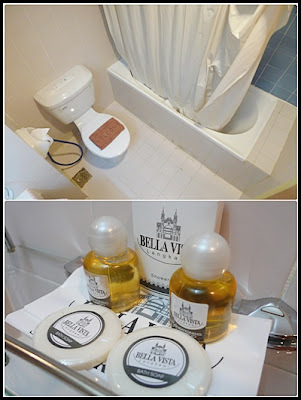 We stayed in 3-star hotel "Hotel Bella Vista" with sea view room. 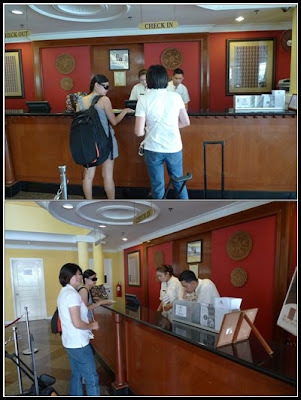 After putting down our luggage, we start to explore the room. view from our room. One word, AWESOME! After settled down in our room, we decided to go to "Oriental Village" first. 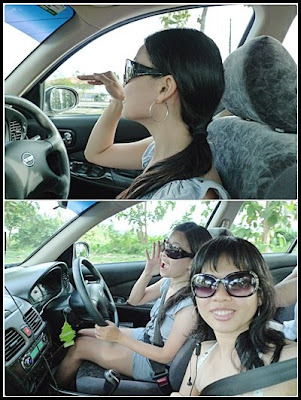 With GPS help, the place was quite easy to find. Our main purpose is to take the cable car ride up the mountain which offers visitors a spectacular 360 degree panoramic view from Gunung Mat Chinchang. a must visit place in Langkawi "Langkawi Cable Car"
Amazing breathtaking view of Oriental Village with beautiful lake against a fantastic mountain backdrop. is this the correct way to hold a rabbit? End up we had our lunch at food court, which the foods not bad too! After our lunch, we were on our way headed off to the Cable Car ride, perhaps the most famous attraction on the island. 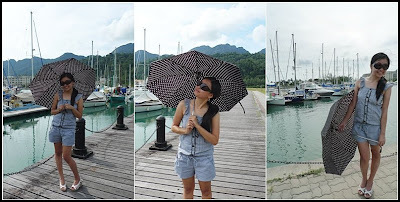 The base station for Langkawi Cable Car ride is located in the middle of this scenic village. Happily walked to the counter to purchase the ticket and the staff told us the cable car has to be closed due to the unknown reason. Maybe broke down or was under maintenance work? Then we went to shop at duty free shopping shop and I found this. ASTRO cigarettes brand. First time saw this... wondering did ASTRO produce cigarettes too?? the picture on the box ...yucks!! 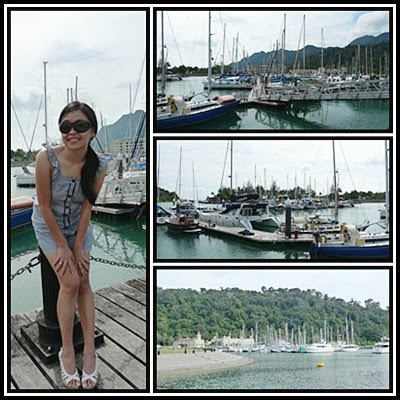 Then we headed to Perdana Quay, Telaga Harbour Park which just 10 minutes from Oriental Village. Such a nice place for photo takings. 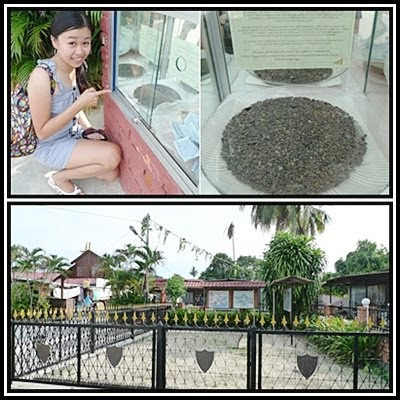 The scenery was beautiful and the weather was of course very hot!! 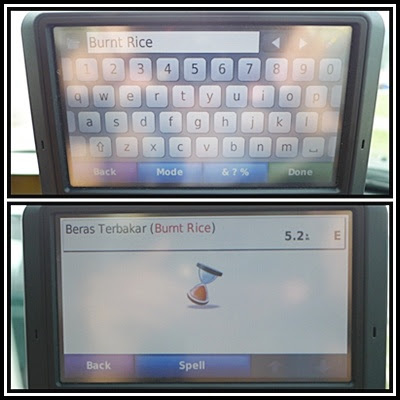 Without wasting our time, we went to "Padang Mat Sirat", the field of burnt rice with GPS help. 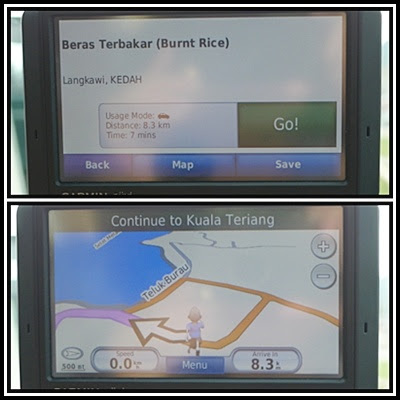 For your information, GPS really useful and accurate here in Langkawi. 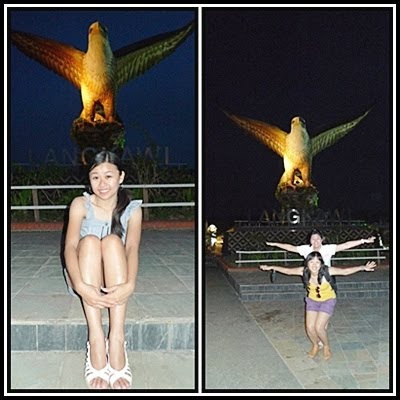 Christy bought this "balancing eagle"
Continue our journey for sunset at "Dataran Lang" (The Eagle Square Langkawi). 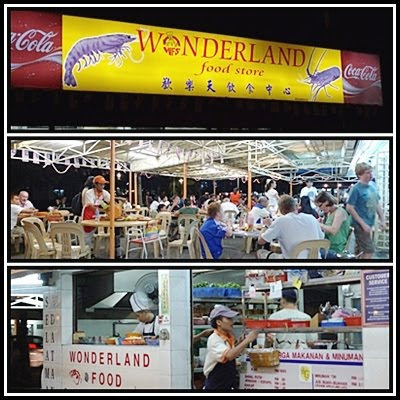 This gonna be our last destination for our first day. 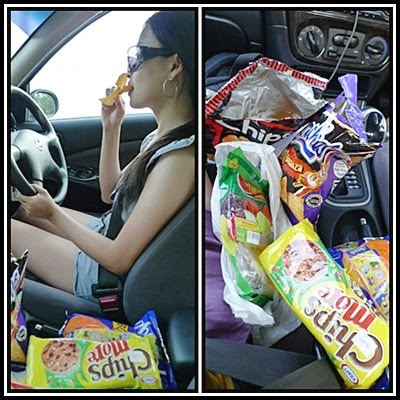 munching junk foods while driving..
We went to Wonderland Seafood Restaurant which highly recommended by local people. And the restaurant just right behind our hotel. Walking distance from Bella Vista Hotel. just a simple food store but the foods is cheap. look at the ovaries.. wow!! 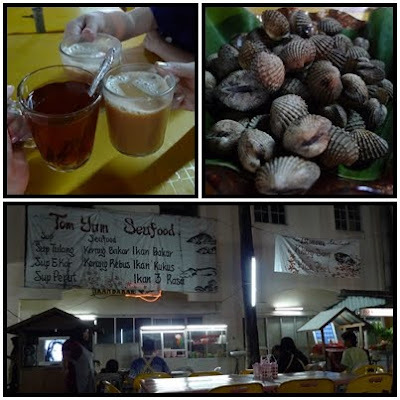 Not enough with our dinner, we sneaked out at night for supper at nearby Malay stall. Haha!! I can cook authentic Sarawak Laksa too! !